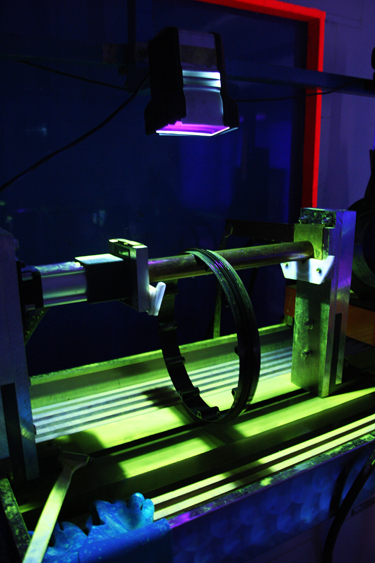 Fluorescent penetrant inspection is used on non magnetic parts. 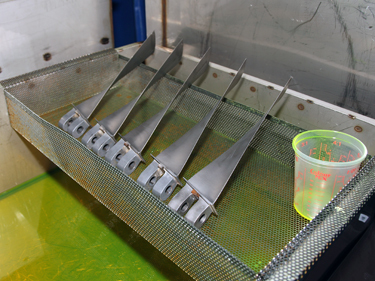 Tanks are installed to immerse the parts in a penetrant. Magnetic particle inspection is used to inspect the paramagnetic parts. A powerful Magnaflux unit magnetizes and demagnetizes the parts. Surface and granite plates are used for parallelism, height measuring, and other special and analytical checks. A computerized Mitutoyo 3-D machine is used for dimensional inspection storing the data.